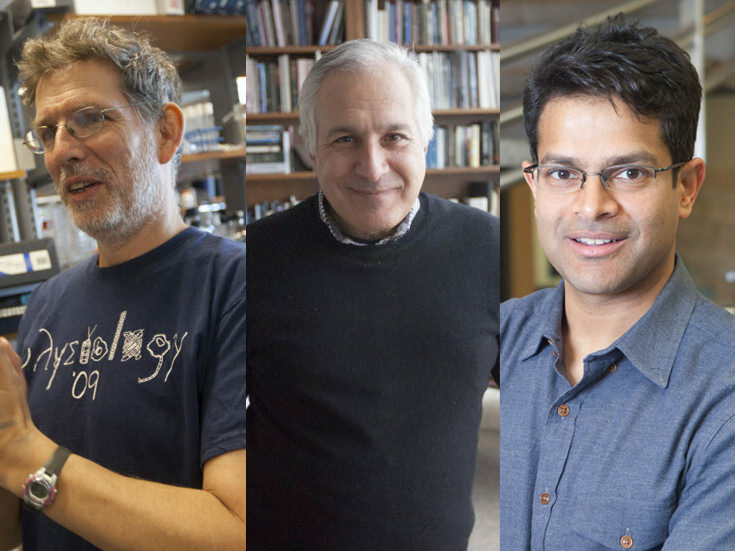 Recognizing their “distinguished and continuing achievements in original research,” the National Academy of Sciences on April 29 announced the election of 84 new members, 11 of them from Harvard’s faculties of arts and sciences and of medicine. Martin R. Pollak, professor of medicine, who is affiliated with Beth Israel Deaconess Medical Center. Subir Sachdev, professor of physics. Visit Harvard Magazine’s archives to find articles about economist Katz’s research with his frequent collaborator, Lee professor of economics Claudia Goldin, on career choice and quality of life issues; biologist Lichtman’s work involving optical microscopy and neural synapses; and short profiles of biologist Mitchison and Murray. Montgomery W. Slatkin, Gompertz professor of integrative biology, University of California, Berkeley.